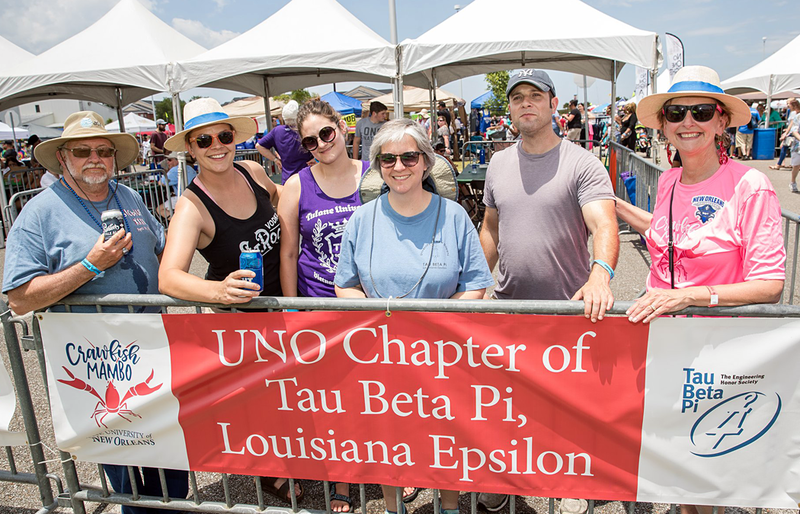 Eustis Engineering LLC, geotechnical firm, recently posted an image to it’s Facebook page of the celebrations from the Louisiana Epsilon Chapter’s 25th anniversary at Crawfish Mambo. The LA Epsilon Chapter at the University of New Orleans was installed March 13, 1993. Several chapter advisors are in the above image, including (far left) Pierre Champagne, LA E ’76, and (middle) Gwen M. Sanders, LA E ’90, executive VP, engineering manager at Eustis Engineering. The event took place May 12, 2018. Click here to read the job requirements and other responsibilities. Four Tau Bates were recently selected for the 2018 CoSIDA Google Cloud Division I Academic All-America® Women’s Track & Field/Cross Country teams, respectively. Lauren V. Bartels, LA B 2018, a recent chemical engineering grad from Tulane University and second team All-American; she is a long distance and cross country runner. Bartels was named the American Athletic Conferences cross country Scholar Athlete of the Year, finished 5th places at The American Championship, and served as corresponding secretary for the LA Beta Chapter. Kaitlyn M. Benner – CO B 2018, a chemical and biological engineering major at the University of Colorado at Boulder and third team All-American; she is a cross-country runner. Benner helped CU win third Pac-12 team title with an eighth place individual finish, holds school’s third fastest 10k time, and is a three-time All-American, and was named 2017 PAc-12 Scholar-Athlete of the Year. Emily J. Moore – PA E 2019, majors is chemical engineering at Lafayette College and third team All-American; she is a long distance and steeplechase runner. Moore won the 2016-17 3000m at the Rutgers Invitational, holds the 7th fastest all-time school record for the 3000m steeplechase, and won the 2018 cross country 6K Leopard Invitational. Gillian U. Schriever – PA L 2019, University of Pittsburgh chemical engineering major and third team All-American; she is a long distance and cross country runner. Schriever was the teams best finisher at all meets in which she competed, is an All-American in the 10,000m, where she set a school record at the 2017 NCAA Outdoor Championships.